The Friends of the American Latino Museum, a group that wants to see a museum in the nation's capital dedicated to the contributions of Latinos, will receive $170,000. A portion of that — $50,000 — will go toward its own operations, but the rest will be distributed to the American Latino Heritage Fund of the National Park Foundation, the Smithsonian Latino Center, and the Kennedy Center. The inauguration was a chance for Latinos to demonstrate that they belong "center stage," said Latino Inaugural 2013 co-chair Henry R. Muñoz III at a Friday event in Washington, D.C.
That Latinos are donating to the nation's performing arts center is notable. Some prominent Hispanic organizations, like the National Hispanic Foundation for the Arts, previously criticized the Kennedy Center for a lack of diversity when it comes to awarding the prestigious Kennedy Center Honors. In 35 years, just two of the 180 honorees have been Latino. The Friends of the American Latino Museum, the group leading an effort to build the National Museum of the American Latino in Washington, D.C., distributed the $170,000 in grants to the Smithsonian Latino Center, the Kennedy Center, and other arts organizations. Muñoz is chairman of the National Museum of the American Latino Commission, the government commission studying the potential creation of the national museum. Muñoz said he hoped the grants would help Latinos continue to play a prominent role in the national arts, following the Latino Inaugural at the Kennedy Center in January. "In order for us to continue to stay center stage, it is important for us to invest in future generations of artists, of historians, of curators, of mathematicians and scientists, and that is what this ceremony is about," Muñoz told an audience of reporters, grantees, and supporters at the National Press Club last Friday. He was joined by Andres Lopez, a San Juan activist who co-chaired the 2013 Latino Inaugural with Muñoz and actress Eva Longoria. Longoria was initially slated to attend the grant ceremony, but was unable to make it. Muñoz, Lopez, and Longoria are cofounders of the Futuro Fund, which served as Obama’s Latino fundraising arm during the 2012 election. Muñoz is a prominent figure in the San Antonio art world. 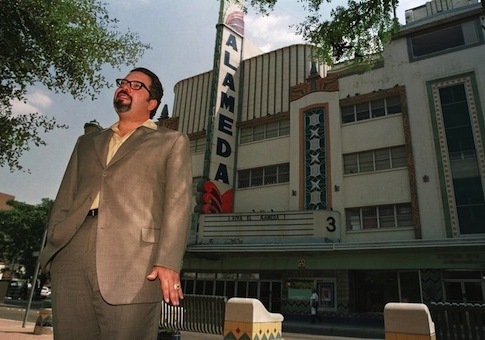 He previously served as chairman of the Museo Alameda, a San Antonio Hispanic cultural museum, but was criticized for throwing lavish parties that critics say sent the museum spiraling into debt. The Museo Alameda closed in 2012 due to lack of funding. Then-House Speaker Nancy Pelosi (D., Calif.) appointed Muñoz to the National Museum of the American Latino Commission in 2009. The project is ongoing. This entry was posted in Politics and tagged Futuro Fund, Obama Campaign. Bookmark the permalink.